Over the weekend I presented at the Google Apps for Education summit in Bangkok. Since I was going to be in the city, my principal kindly gave me a release day to observe the teachers at the New International School of Thailand (NIST) in action. Spending time in another school observing teaching in other schools is one of my favorite forms of learning. Observing others’ teaching practice gives you an opportunity to reflect on your own practices and beliefs about learning. The aha moment – Seeing the glow on a child’s face as he moved from one digit to two digit multiplication using the box method. Doesn’t matter the context, that glow is always beautiful moment. The teacher was there to notice and name that moment for him. Beautiful and unique learning spaces – many of NIST’s classrooms are non rectangular owing to corridors that curve and bend. The result? The spaces lend themselves to differential and experiential learning. A Year 4 class used a waterfall in the primary area as inspiration for art. The rooftop garden which uses recycled materials is being used for service learning. 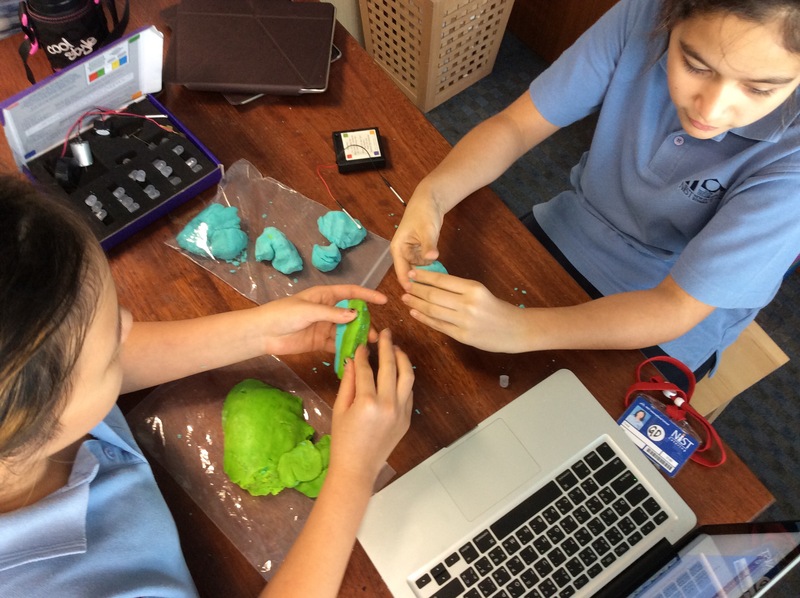 Maker space – A highlight for me was spending the afternoon with the Year 6s who were learning about squishy circuits, sewing bags, 3d printing glasses,programing games using scratch, constructing a guest house using a cardboard box. What I loved about maker space is that it mixed old school cutting and gluing with new technology as well. There was a strong ethos of children experimenting and sharing what they learned. 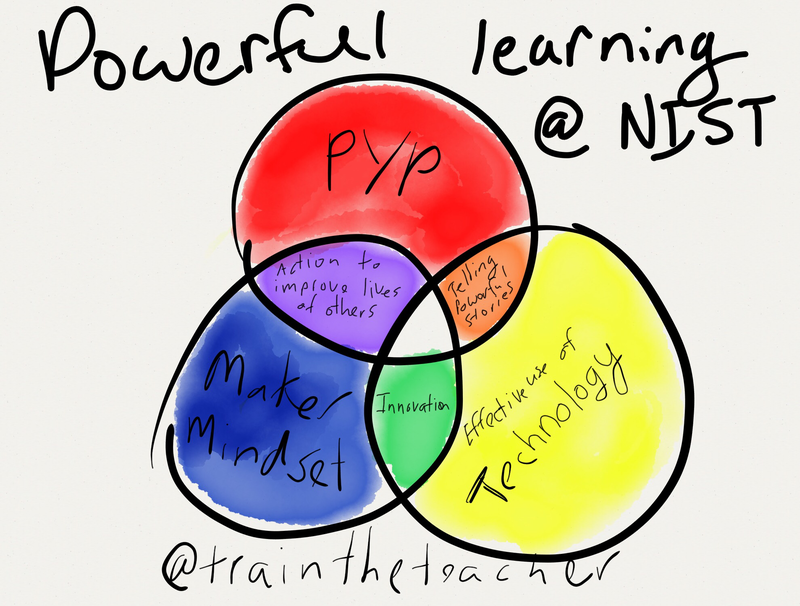 Putting it all together… in sketch note form. 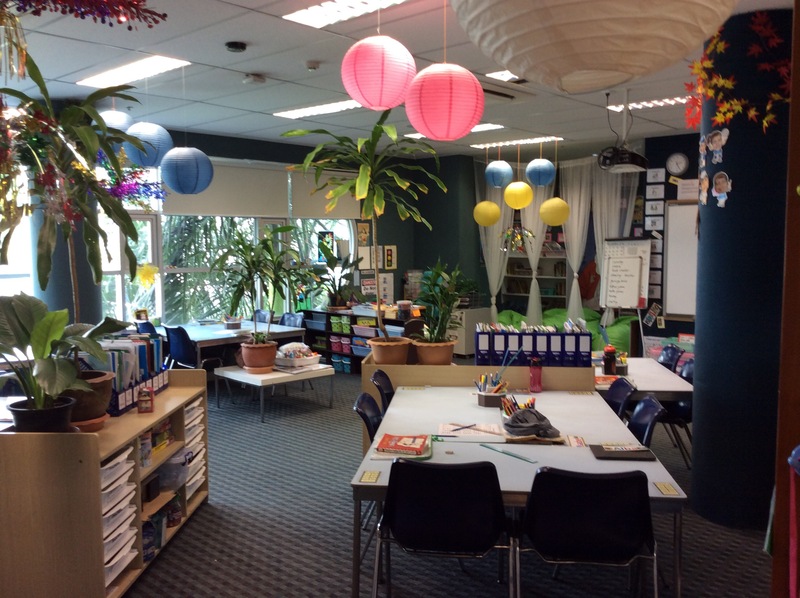 Moving learning outside of the classroom – my own school has many interesting and inspiring spaces. Could I being better utilizing them? Am I looking for opportunities for learning outside the classroom? 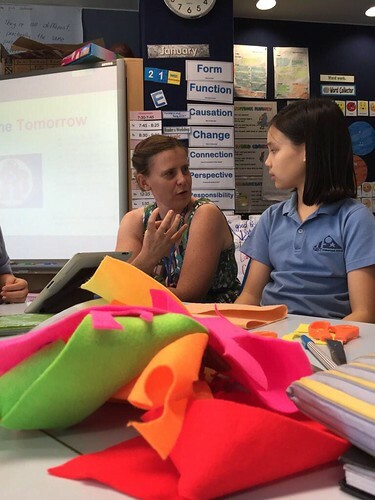 Better unpacking of PYP attitudes – I need to be more explicit in unpacking these during learning engagements with my students. Looking for maker opportunities – I’ve had a go. How might I use making to deepen conceptual understandings and develop PYP attitudes? Thanks @MaijaRuokanen and the wonderful teachers at NIST for hosting me for this visit.